Along with The Walking Dead haunted house, Halloween Horror Nights will be featuring a Texas Chainsaw Massacre themed maze and “The Exorcist” House. If you’re brave enough to enter the maze, you’ll be forced to escape the iconic barn from the show and race through Terminus, before ending up in Alexandria, all while hordes of the undead are doing their best to make you their next meal. 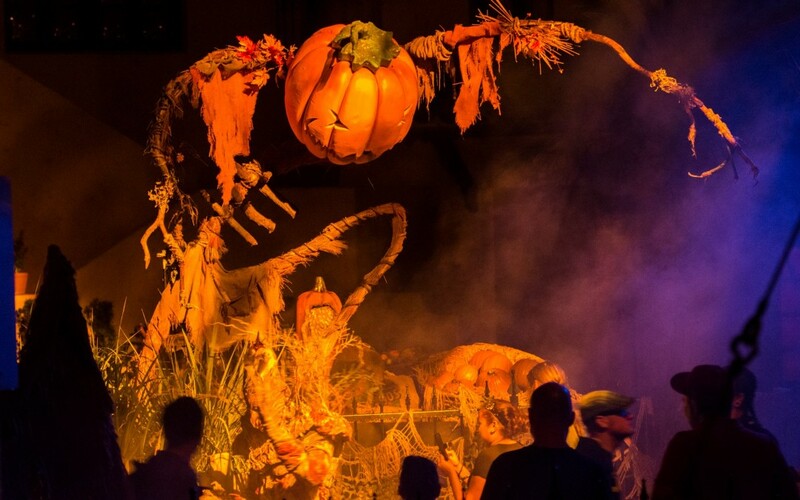 According to a release from the theme park, The Walking Dead Maze will feature “the most iconic horrifying scenes from the show.” The 2016 Halloween Horror Nights will take place on select evenings from September 16th-October 31st and will feature an endless amount of spooky fun all in one location! The theme park will be announcing additional haunted house themes as the event creeps closer so be sure to check back for updates. In the meantime, check out the video below to see what you’re in for at the 2016 Halloween Horror Nights event!